This bannerstone is broken at the narrowest portion of the left side and may have been intentionally broken as is common with bannerstones. 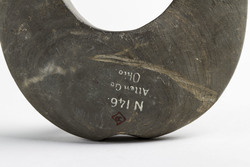 There is a deep gash on the back of the stone. 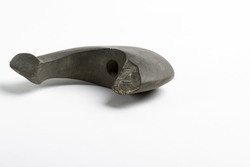 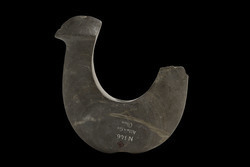 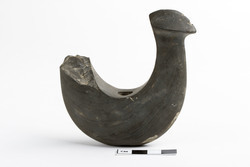 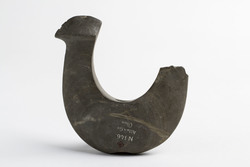 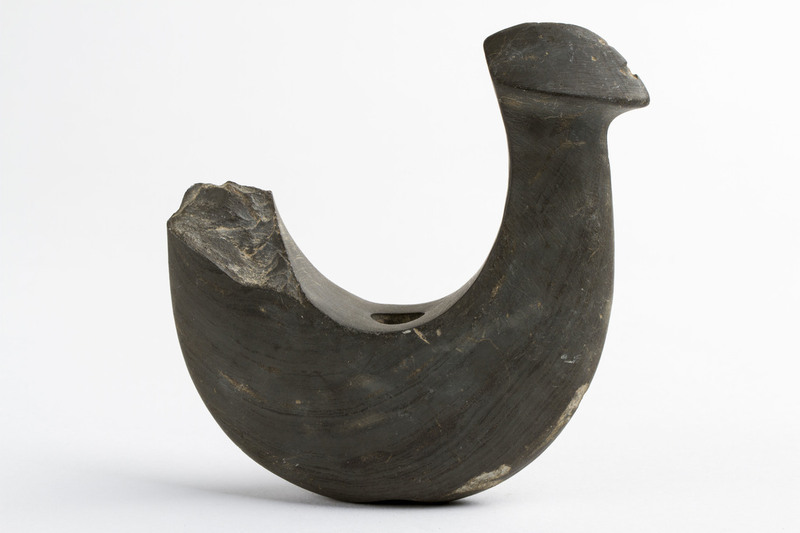 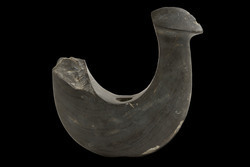 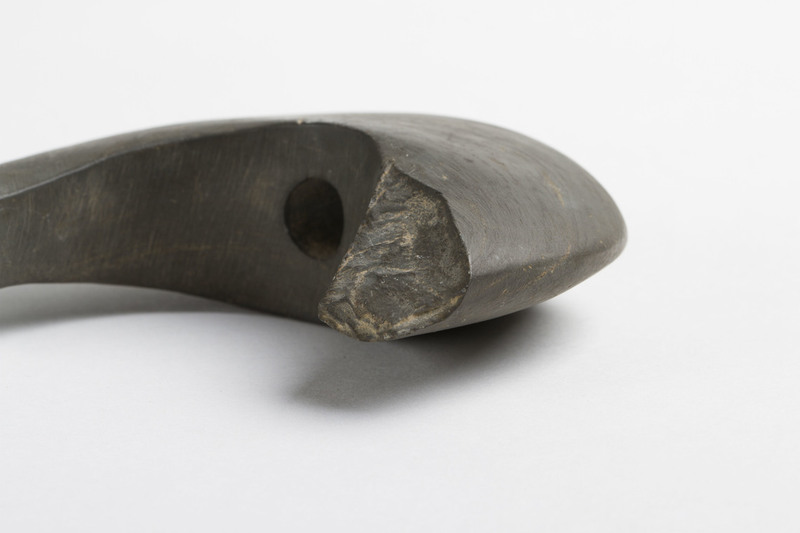 “AMNH DN/146,” FIT Archaic Bannerstone Project, accessed April 25, 2019, https://bannerstone.fitnyc.edu/items/show/113.